Congratulations to Dr. Jerry Allwine, who was selected as the recipient of this year's Helmut E. Landsberg Award from the American Meteorological Society. Allwine, who retired from Pacific Northwest National Laboratory in 2008, will accept the award in January at an AMS gathering in Seattle. Allwine served more than 25 years as a PNNL senior scientist in the fields of atmospheric sciences, fluid dynamics, and mathematics. The Helmut E. Landsberg Award is given to an individual or team for outstanding contributions in the fields of urban meteorology, climatology, or hydrology. This includes measurements or modeling that provides an improved understanding of atmospheric processes in urban environments, and/or enhanced urban meteorological or air quality forecasting capabilities. 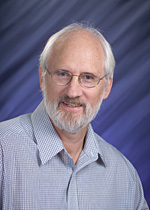 Allwine's contribution to the field of meteorology was cited: "For his work as chief scientist and manager of the four urban field experiments carried out under the Urban Dispersion Program, and for sustained research contributions to applied dispersion model development and testing." Allwine led four multi-scale, atmospheric dispersion studies in diverse urban areas from 2000 to 2005. The studies involved national and international scientists who sampled, studied, and modeled the complex patterns of atmospheric and meteorological contaminant dispersion around buildings, through urban areas, and into surrounding regions. The results of this work made a significant contribution to understanding the complex processes of atmospheric dispersion of contaminants in urban areas, which helped create emergency response models, evacuation, and cleanup plans for the U.S. Department of Homeland Security, and the U.S. Department of Defense.